Sharyn was our wedding photographer and we couldn’t have made a better choice! She was a pleasure to work with, and the photos are stunning! Before the wedding we met up for coffee to discuss ideas and make sure our personalities gelled (they did!). In the madness running up to the day she was a calm voice to talk to, and on the day she was always there to capture the real moments. She also made the couple shoot straight after the ceremony really comfortable. We really love her raw and grungy, and yet still clean and elegant photographic style. 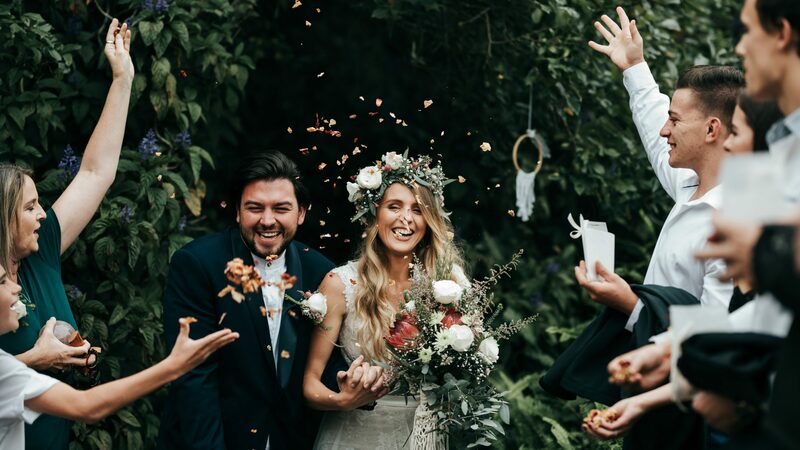 Your wedding day flies past so quickly, you barely remember what happened – we are so glad we have Sharyn’s photos to relive the day. Sharyn is truly amazing! 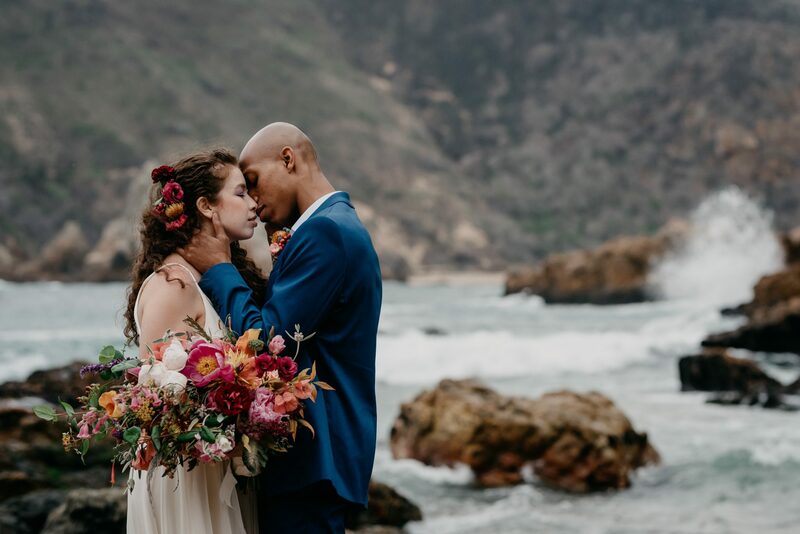 We really hit the jackpot when it comes to photographers. 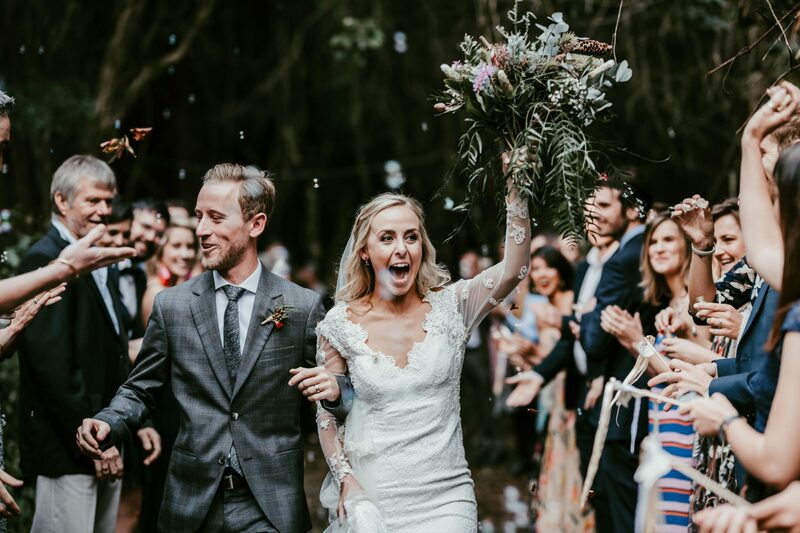 Choosing a wedding photographer can be a pretty daunting task but from the moment I saw Sharyn’s work I knew she had to be the one, and our expectations were definitely exceeded. 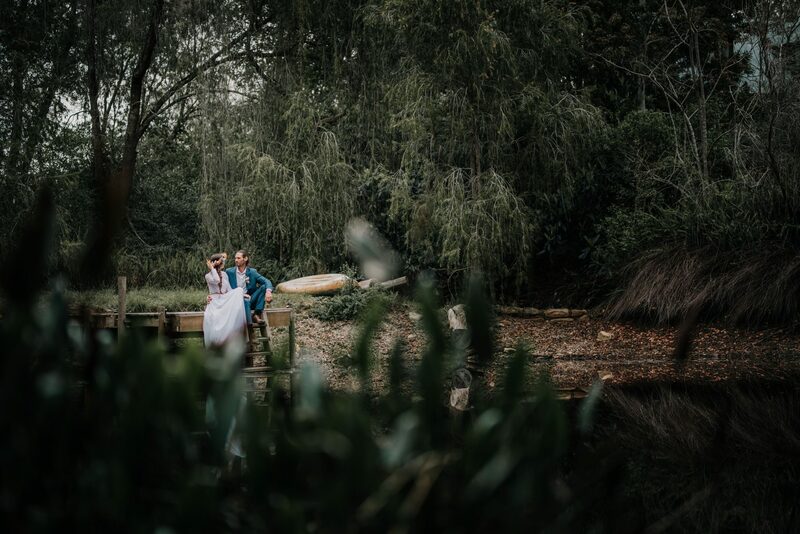 I love most that every picture captured tells a story and that Sharyn went out of her way to make recieveing our wedding photography parcel as special as possible. We received a beautiful wooden box with our names and wedding date ingraved on it that held our USB and some of our favorite photos printed out, presented beautifully among some special sovienurs that Sharyn had collected on our wedding day like the confetti thrown and some moss that she had saved from the forest at our wedding venue it was like opening up a time capsule and that to me was such a special touch. 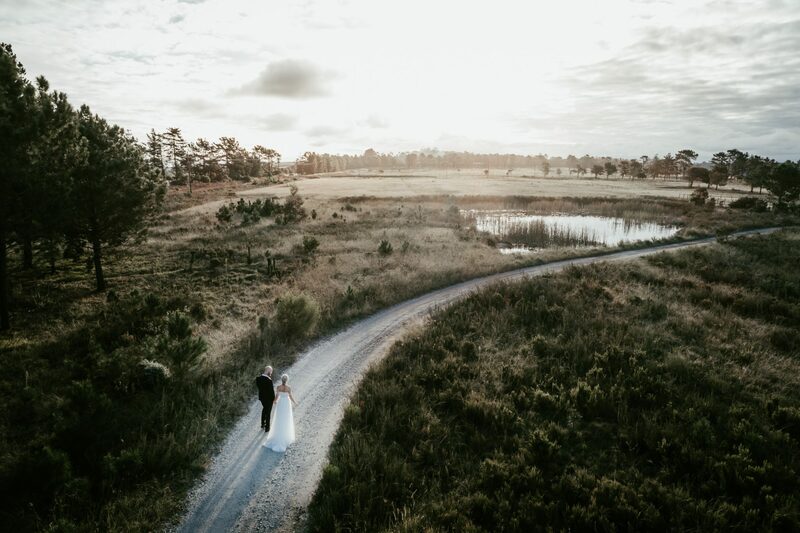 We were extremely impressed with the turn around time in which we received a sharable link to some of our wedding photos which was within a matter of days! She is also a dream to work with, everything flows naturally and lots of fun and laughs are guaranteed to be had. I am so grateful to Sharyn for capturing our wedding so beautifully and so naturally! From the moment she arrived she was professional and worked incredibly hard to take the best photographs possible. We also love the edited photos which were received timorously and in a stunning engraved box with lovely personal touches. I would highly recommend that you stop reading this right now and book her ASAP! 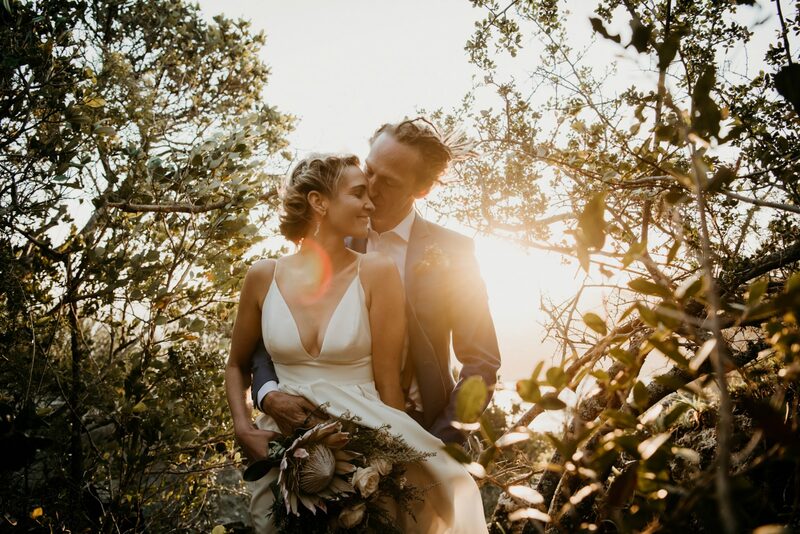 Sharyn is not only madly talented, but an absolute dream to work with, having her bubbly can-do vibe around us through what was a crazy day really was a huge bonus. We LOVED our photos and could not more more pleased with the whole experience working with Sharyn. Each of Sharyn’s photographs reflect her bubbly personality, her depth, her uniqueness and her keen eye. She brought calmness and humor to our wedding day and gifted us with the most exquisite, timeless photographic memories. We have received so many compliments on our wedding photographs and could not have asked for a better photographer for our special day. She brings exclusivity and her images stand out in a flooded market for all the right reasons. She is exceptionally talented, passionate and a true artist. Honestly I can’t express enough how amazing Sharyn is! And her photos speak for themselves! I would highly recommend using her to capture any special moments! Hiring Sharyn to photograph our wedding was one of the best decisions we made! She made us feel so comfortable and at ease and managed to capture all of our special moments without us even realizing it! 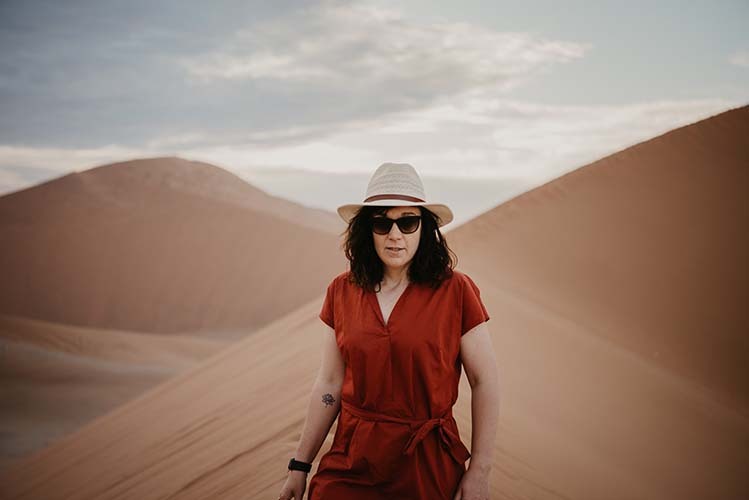 Her adventurous spirit perfectly aligned with ours, and it really felt like we made magic happen during our formal shoot! At the end of the day we felt like we were saying goodbye to a friend, not just our photographer! Sharyn is so talented, and a true gem!